Graph-Ex SA™ for Alfalfa/Clover is an inoculant formulated to assist in establishing and maintaining good plant stand. Graph-Ex SA™ for Alfalfa/Clover is an inoculant formulated to assist in establishing and maintaining good plant stand. Graph-Ex SA™ for Alfalfa/Clover contains a specially formulated blend of Excalibre™ Alfalfa/Clover Inoculant plus SabrEx™ Root Inoculant formulated in a talc-graphite carrier. Alfalfa, bitter clover (sour), black medic, button clover, California bur-clover, fenugreek, hubam sweetclover, little bur-clover, snail bur-clover, spotted bur-clover, Tifton bur-clover, tubercle bur-clover, yellow alfalfa, yellow sweetclover, true clovers (trifoliump spp. ), alsike clover, ball clover, berseem clover, bigflower clover, Carolina clover, cluster clover, crimson clover, hop clover, Hungarian clover, ladino clover, red clover, large hop clover, white clover, zigzag clover. Graph-Ex SA™ for Alfalfa/Clover inoculant is a proprietary formulation containing a specific Rhizobium species. Alfalfa is a legume crop that, like soybeans, requires the process of nodulation for healthy plant growth. The Rhizobium will fix nitrogen after becoming established inside the root nodules. Our research has shown that one-year-old pre-inoculated alfalfa seed yielded 3% less on the first cutting and 5% less on the second cutting when compared to the same inoculated seed “over treated” with fresh Graph-Ex SA™ for Alfalfa/Clover. Even more impressive, 4-year-old, pre-inoculated alfalfa seed yielded 15% less on the first cutting and 17% less on the second cutting compared to the same inoculated seed “over treated” with fresh Graph-Ex SA™ for Alfalfa/Clover. 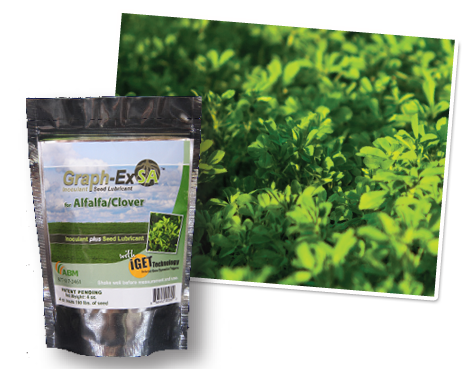 Graph-Ex SA™ for Alfalfa/Clover is an inoculant formulated to assist in establishing and maintaining good plant stand. Graph-Ex SA™ for Alfalfa/Clover contains a specially formulated blend of Alfalfa/Clover Inoculant plus SabrEx™ Root Inoculant formulated in a talc/graphite carrier. 2 oz. per 50 lbs. of Alfalfa/Clover seed. One 4 oz. package treats 100 lbs. of Alfalfa/Clover seed. Refer to the Graph-Ex SA™ for Alfalfa/Clover label for specific rates and directions for use. Sprinkle over seed and mix until seed is completely covered. Ensure that the inoculant is evenly dispersed. Larger seed quantities may require a layered application in the planter box. It is best to treat and mix seed in 50 lb. increments. Plant within 72 hours of application. 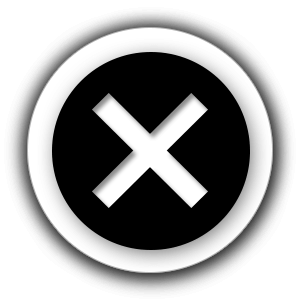 DO NOT EXCEED 72 hours without re-inoculating the seed. Soil that has not hosted the specific legume for more than 3 years.